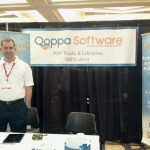 Qoppa Software President Gerald Holmann met and talked with developers, integrators, and device manufacturers about our growing line of PDF software for Android devices at AnDevCon III. Qoppa’s proprietary PDF technology has extended to the Android platform, after a decade of success delivering Java PDF libraries, components and applications for desktop, web and server. 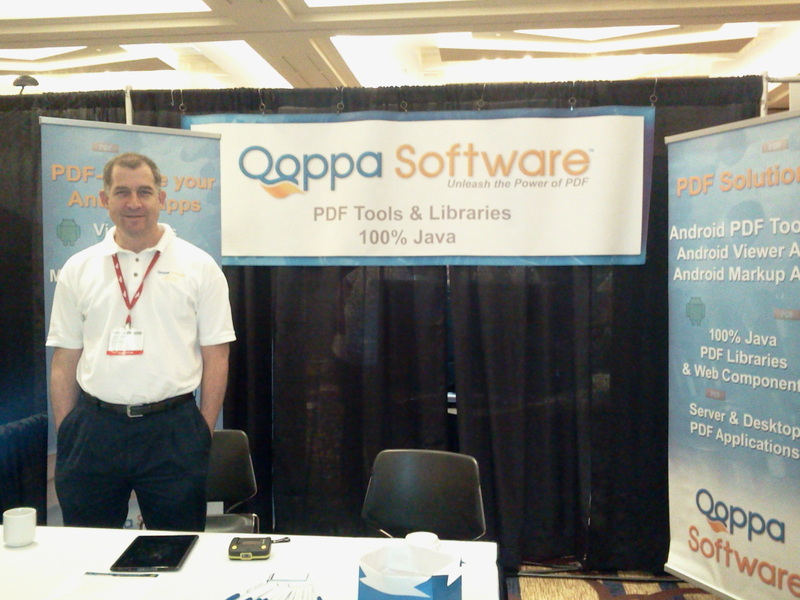 Qoppa’s kiosk display highlighted both the new Android PDF SDK and the Java libraries and components Qoppa has been delivering for over 10 years. 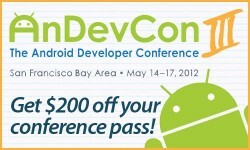 This entry was posted in Java PDF Library, Qoppa Software Events and tagged AnDevCon, Android, components, libraries, PDF, Qoppa on May 23, 2012 by qoppacom.